A court in UK is expected to decide today whether fugitive tycoon Vijay Mallya will be extradited to face trial in India. The 62-year-old chief of the defunct Kingfisher Airlines is wanted for alleged fraud and money laundering amounting to Rs. 9,000 crore. Vijay Mallya has argued that the case is politically motivated and appealed against extradition citing the condition of Indian jails. Vijay Mallya left India in 2016 after a consortium of banks got together to start legal proceedings to recover the loans. He has been living in the UK since. If the verdict goes against Vijay Mallya, the judge may grant him permission to appeal in a higher court. If the verdict goes against India, the Central Bureau of Information and Enforcement Department, which are investigating him, would get 14 days to file an appeal in a higher court. "I did not borrow a single rupee. The borrower was Kingfisher Airlines. Money was lost due to a genuine and sad business failure. 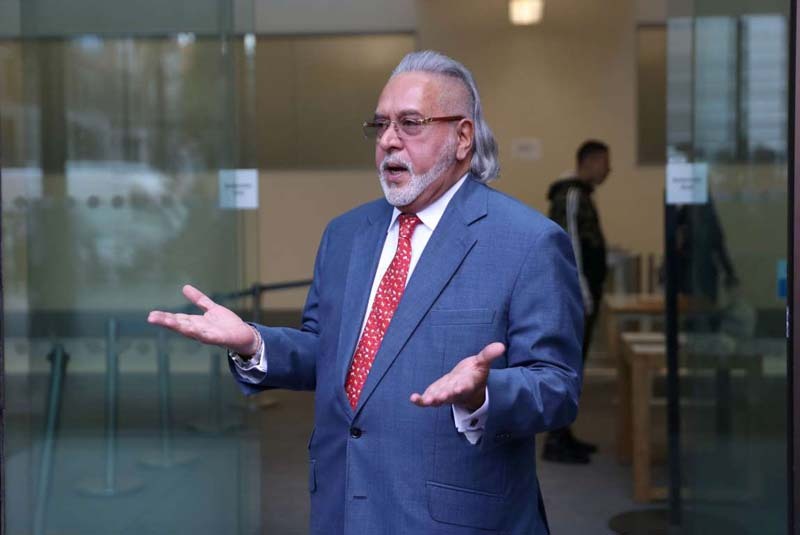 Being held as guarantor is not fraud," tweeted Vijay Mallya, who has been out on bail since his arrest on an extradition warrant in April last year. "I have offered to repay 100 per cent of the principal amount to them. Please take it," the liquor baron said in another tweet. He said he wants to end the narrative that he stole money from various lenders and said his offer was not linked to his extradition case. Vijay Mallya's defence team told the court that in early 2016, he had offered to pay back nearly 80 per cent of the principal loan amount owed to the banks. The tycoon has also released a letter sent to Prime Minister Narendra Modi in 2016, in which he asked that a committee be appointed to "examine the facts". He said he also wrote to the finance minister, but received no reply from either. The 62-year-old has also argued against his extradition, saying Indian jails do not have proper air and light. India had to submit a video of Barrack 12 of Arthur Road Jail, where he would be lodged after judge Emma Arbuthnot asked for it. Later, in a sharp retort, PM Modi told his British counterpart Theresa May that it was not right for courts in her country to ask about the condition of Indian jails, "as we still have the prisons where they jailed our leaders like Mahatma Gandhi and Jawaharlal Nehru." In September, the tycoon -- who was also a member of the Rajya Sabha before he skipped the country -- created a political storm claiming that he had a "meeting" with the finance minister. As Mr Jaitley denied there was any meeting, Vijay Mallya backtracked, accusing the media of misrepresenting facts. Last month, a court in UK asked him to pay a hefty 88,000 pounds after Swiss bank UBS sought to repossess his London house for the non-payment of a 20.4-million pounds mortgage loan. After Vijay Mallya, a number of wanted tycoons - including celebrity jeweler Nirav Modi and his aide Mehul Choksi - have skipped the country, the opposition Congress has accused the government of aiding and abetting these fugitives.